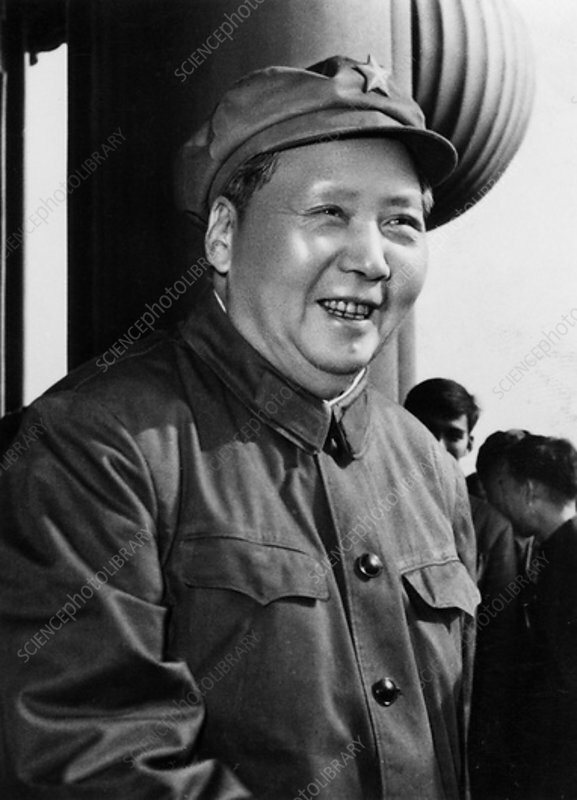 Mao Zedong, Chinese Communist revolutionary and leader. The son of a peasant farmer, Mao Zedong (Mao Tse Tung) (1893-1976) led the Red Army which undertook the epic Long March and overthrew the Nationalist Chinese dictator Chiang Kai-Shek in 1949. As Chairman of the People's Republic of China and of the Chinese Communist Party he set about transforming China, but his attempt to modernise the country's industrial base (the Great Leap Forward) and the disastrous Cultural Revolution caused dramatic upheavals in Chinese society. After his death in 1976, his successors introduced social and economic initiatives that reversed many of Mao's policies.